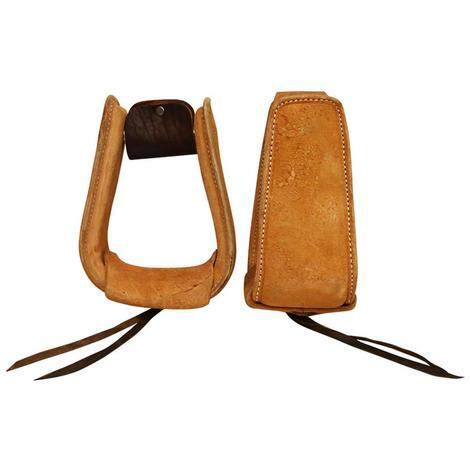 American made angled roper stirrups from Don Orrell. 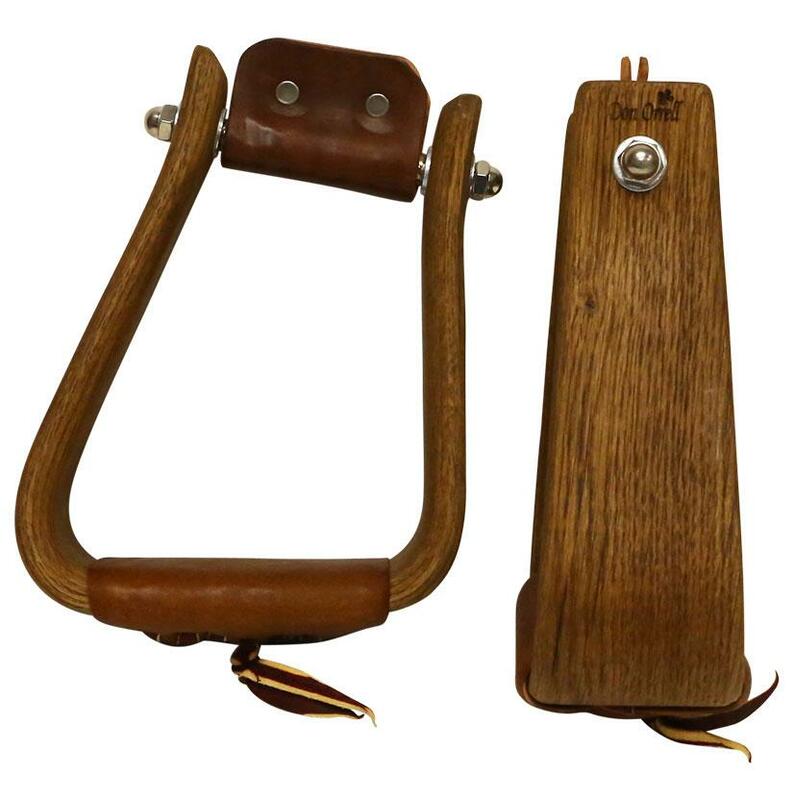 These stirrups are made from stained oak. The tread is 3 inches. 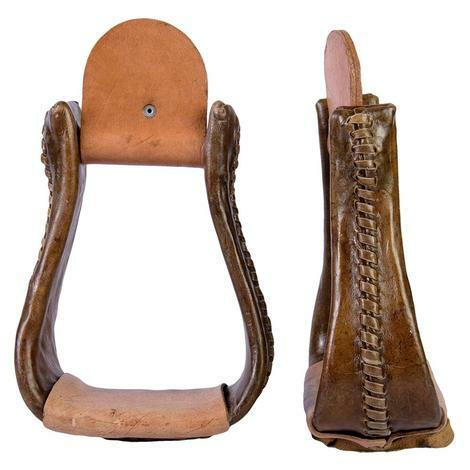 This stirrup is 5 ¼ inches wide and 5 ¼ inches in height. 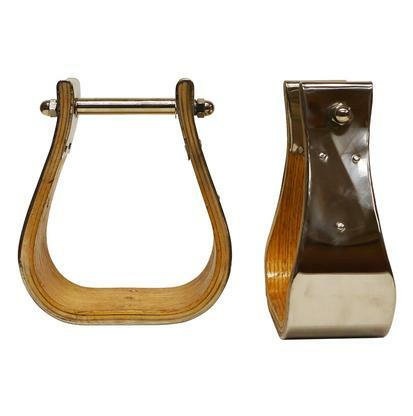 STT Rawhide Bell Stirrups 3"
Stainless Steel Covered Wood Stirrup 3"
STT Roughout Roper Stirrups 4"